Pillar Point Harbor: eating, boating, birding, exploring, buying seafood, and more. Princeton By The Sea & Pillar Point Harbor is the center for a commercial fishing harbor, shops, eating establishments, wildlife, beautiful views, and world class surfing. Walk across the street to Oceano Hotel & Spa, if the center of Harbor Village. Along with the lodging and spa, there are 19 interesting shops and eateries in a casual, coastal environment. On Sunday’s there’s a Farmers Market with fresh foods and crafts. Hiking the bluffs for a unique vies of the ocean and the Mavericks surfing area. 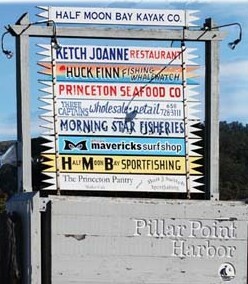 Pillar Point Harbor is a fun place to tour for the guests attending your wedding, before or after the great event. Or book a tour of the area through HMB Coastside Tours. Maybe I’ll see you on the bluffs, I’m there a couple of times a week with my wife and my dog. 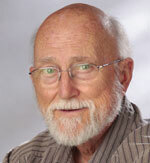 Authored by Terry Plank – Comment below, if on master page go to Pillar Point Harbor.